I’ve been struggling to keep up with everything lately and have been scarce here. Thanks to blogger buddies like Bish Denham, I’m still plugging along. Bish invited me to guest post on her blog, and today is the day! 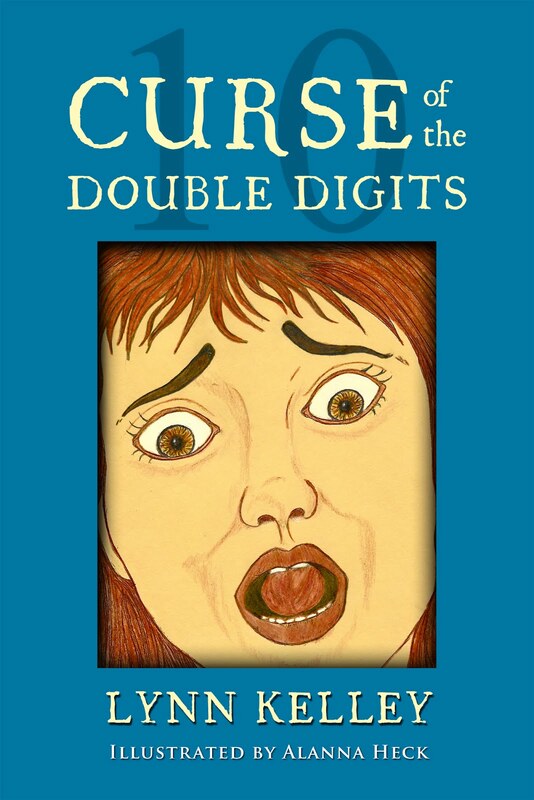 Testing the work in progress of Curse of the Double Digits on a second grade class in 2008 made for wonderful memories in my writing journey. Please hop over to Bish’s blog, Random Thoughts, to read about it. 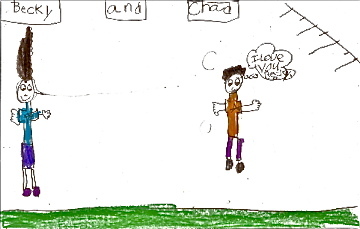 The children didn’t have the benefit of seeing any illustrations when I read my manuscript to them. The teacher, Mrs. Kyle, had them draw their own! This entry was posted in Uncategorized and tagged children's literature, Curse of the Double Digits, Random Thoughts, reading to children. Bookmark the permalink. What a great idea. How fun for the students to create their own illustrations. I'll bet it was fun for you to see them, also.Heading over to Bish's now. . .
How fun! I bet it was wonderful seeing all those drawings. I love it! Ruth – Yes, it was fun for the students to draw their favorite character. I loved seeing their interpretations of how the characters looked!Emily – It was a blast reading to the kids and watching their responses. And the drawings was such a nice surprise at the end, and then I got to keep them. Pretty awesome! Sometimes, artists present the world the way they think we want to see it. Children are always honest. Alarna – Yes, I love kids' art, too. Yes, it's a buzz! Haven't used that term in ages!JJ – What a cool observation. So very true!Susie – You're so right. Seeing the world as if for the first time is the key to art and writing both, I think! How cool that you got to test-drive Double Digits on the second grade class, Lynn! And I love Bobbie's drawing! Hey, guess what? I started reading your post at 12:12! So that's 12:12, 12-12-12.Sounds pretty lucky to me! What a great idea! I have another friend that is just starting out writing children's books. I'm going to share this with her. 🙂 I loved your book. It was such a fun read! Lynn, wanted to thank you for the eCard!! I think having kids draw their own pictures is a brilliant idea!